Tottenham travel to the Etihad three days after their dramatic Champions League progression. Raheem Sterling's late goal for Manchester City was disallowed for offside against Sergio Aguero. Lucas Moura's hat-trick added to Victor Wanyama's opener as Tottenham cruised to a 4-0 win over Huddersfield. Fans on Twitter joke that toddler Miguel 'needs to start against City next week'. Pochettino, Dzeko and Mitrovic make the headlines on Monday. 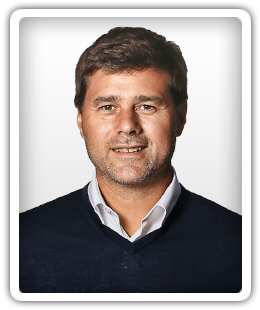 A report claims that Tottenham Hotspur manager Mauricio Pochettino will be given £300m to spend on new players by AC Milan if he agrees to swap clubs.